"What is there to do in Loreto?" many sane people asked before I flew down to Mexico to live in a small town. Good question. I had no idea but that wasn't going to stop me from moving down and finding out. On my flight to Loreto I met two women from Wisconsin, Billie and Irene. 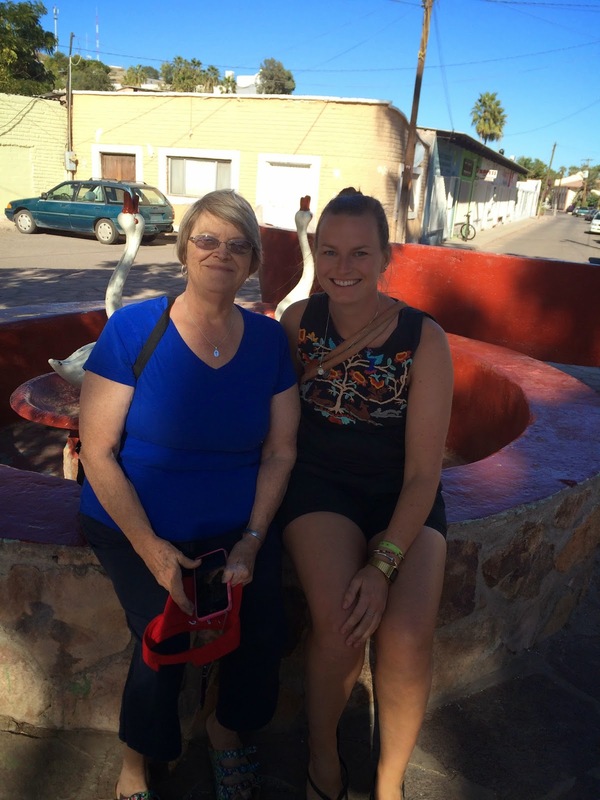 Billie was visiting her brother who lives in Loreto and Irene was joining along for a Mexico vacation. I spent my first two weeks hanging out with these two (and crew). 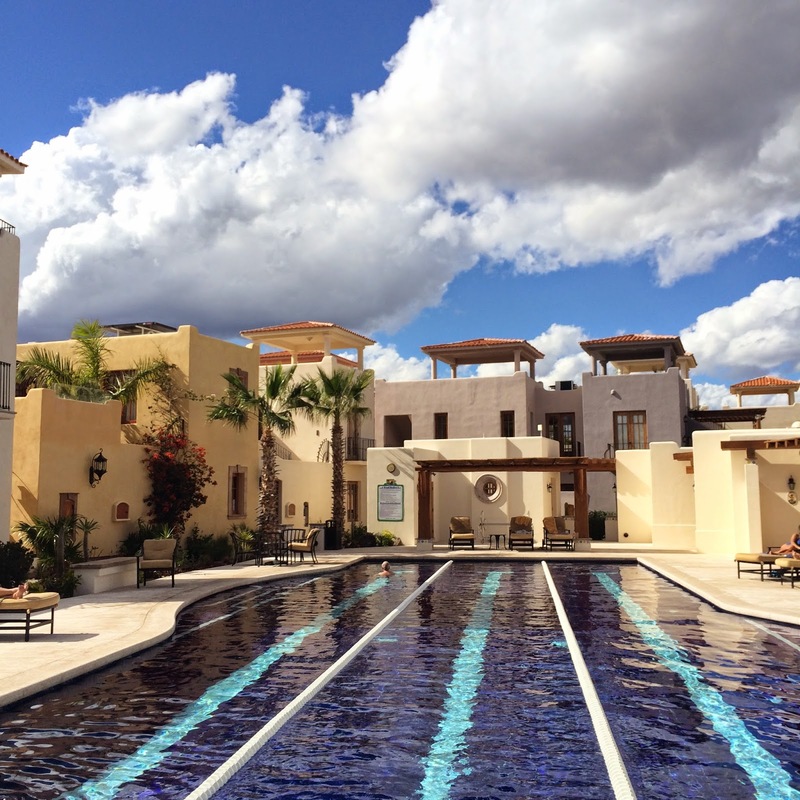 We swam at the Loreto Bay lap pool, celebrated Billie's 69th birthday at the Oasis, visited the Sunday market, went to mass in Spanish (a first, in multiple ways), explored Puerto Escondido and had lunch in Mulege, a small town two hours north of Loreto. Loreto Bay is about a twenty minute drive south of Loreto. To me (once you look past a few unfinished houses and some neighborhood politics) it's Mexico's version of Pleasantville. The walking pathways wind through perfect looking stucco houses all painted fun, make you want to smile, colors. There is one house in particular that has been painted bright yellow and I just want to hug it. Billie and Irene were renting a house in Loreto Bay so I spent quite a bit of time wandering around, swimming in the pools and feeling like I was on vacation. A little mini vacation from my six month vacation. No big deal. However, with all the glitz and glam of Pleasantville comes the feeling of not being in Mexico. Sorry, had to say it. Canadians and American's walk around like they haven't left home so by the end of the day I am happy to return to Mexico. Puerto Escondido is a perfect example of when you can't judge a place by its name. I thought Puerto Escondido was a small thriving town where boat owners spent their winters tucked behind the break walls sipping margs and shopping at local boutiques. Nope. Puerto Escondido is not a small thriving town at all. It's not really even a town. It is just a marina with really nice roads and landscaping (the landscaping is definitely worth noting). The drive north from Loreto along Bahia Concepcion is the pretties drive with large views of blue water, red rock mountains and white sandy beaches tucked along the coast. There are lots of pull out places along Mexico 1 to stop and take in the scene or snap a photo to remember for later on. Once our cameras were tuckered out we were in Mulege, a small town located along a river on the coast but within the mountains. The setting is quite scenic. Mulege was more quiet then I had expected with small dusty roads and little to no tourism. At least that is how it felt for the hour or two we were there ;).